Reifsneider grew up on a farm in southeastern Pennsylvania. She draws inspiration from the repetitive, somewhat laborious work of agriculture. “The quiet energy from agriculture is present in my work,” Reifsneider explained during her presentation. Her collection, “Divided by the Whole,” was completed over the last two years. Reifsneider earned her BFA in Photography in 1995 from Rochester Institute of Technology in Rochester, N.Y. and her MFA in Studio Art in 2011 from California State University – Long Beach. 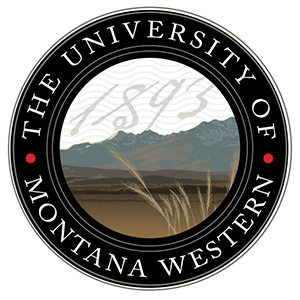 In 2016 she moved back to Missoula, Mont. She had never really worked with fibers until moving to Montana. Reifsneider learned to knit while talking classes at Joseph’s Coat, a yarn and fiber shop in Missoula. From there, Reifsneider taught herself to crochet and found solace with the mathematical concepts involved in it. In addition to her farming background, Reifsneider looks to biology, mathematics, multiplicity and perception for artwork ideas. Her piece “Exponent” is based on the power of 10. Her goal was to create a piece with one million stitches in it. Although the work of art is massive, in reality there are only about 200,000 total stitches in the crocheted piece. Reifsneider is very intrigued by the idea of complementarity, especially when it comes to physics. 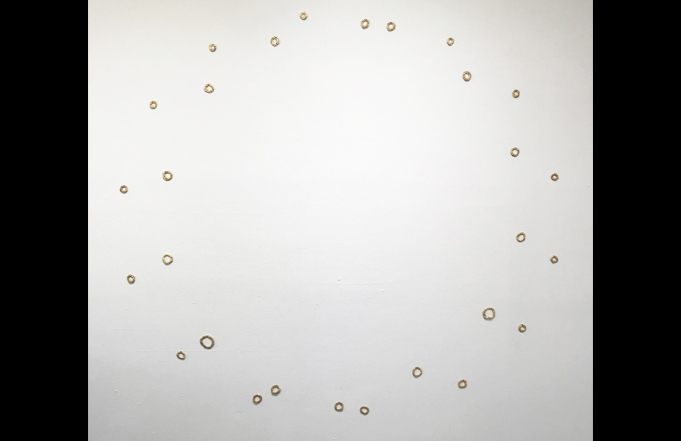 The concept that “the whole is more than the sum of its parts” is evident in much of her work, particularly the piece “orbit.” There, the individual circles are equal to the diameter of every one of her knuckles. Those circles are arranged in a larger circle, equal to the rotational distance of both of Reifsneider’s arms. “I am interested in the patterns and systems that inform how we see the world,” explained Reifsneider.